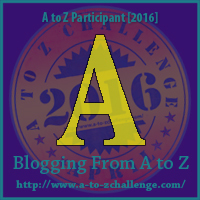 Welcome to A-Z Blogging Challenge 2016! Here comes 26 days of helpful, fun tips on hosting a family reunion. From unique to common sense, they will inspire you to think about all the little touches to make your gathering special and memorable. My first entry is A for America. I got the idea to write about this while driving across the entire State of Louisiana and almost all of Texas today after having been to the border town of Vicksburg, Mississippi to visit my sister. Not a full-blown family reunion, it was still a reunion of sorts as we live several states apart from each other and don’t get to visit very often in person. When planning your reunion, schedule in enough time for a Road Trip! There are such beautiful and varied landscapes to see across the country that are missed by a hurried plane trip. Even going by Amtrak train will offer you enough to enrich your knowledge of the land from sea to shining sea! We spent many hours together in local museums, and National and State Parks, enough to give me an idea of what the South is all about (my first visit). Spending time in the restaurants and hangouts they have come to love, enriched my understanding of the people who live in the area, and I enjoyed the customs and different foods (I’m an adventurous eater!). So remember to go look for America as you move forward with your plans for your family reunions! See you tomorrow! Great idea, Sue. Most of the time family reunions are last minute happenings in our family, but I think it would be fascinating to take a road trip for a visit with some family up north of me. I have some family in OH that I've never visited. THAT could be an exciting trip!